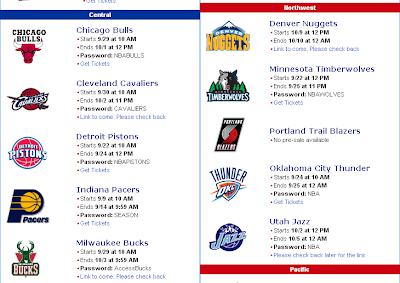 Waking up to an email from NBA.com reading "Member-Only NBA Ticket Presale" will surely perk you right up, until you realize your team is one of 4 in the entire league that isn't having a presale. That's right fans, "your" Portland Trail Blazers along with the Los Angeles Lakers, Boston Celtics and for some odd reason, the Golden State Warriors will not be having a presale. An awesome new pricing scam plus the absence of a presale...go Blazers! warriors already had their own presale buddy. not that anyone in the bay area cares. about 5 people showed up. Oakland prison didn't have recess that day?